It’s worse than we thought, a review of 12 yrs of insurance claims finds truck drivers are 13 times more likely to die at work than any other profession in Australia. Also, one million work weeks lost to sickness over past 12 years. Watch the press conference in Parliament House Canberra highlighting the Monash University study showing truck driving in Australia’s deadliest and unhealthiest job. The study also found a higher risk of illness and psychological stress, researchers blamed this on a lack of exercise, poor diets, long working hours, time pressures and road crashes. 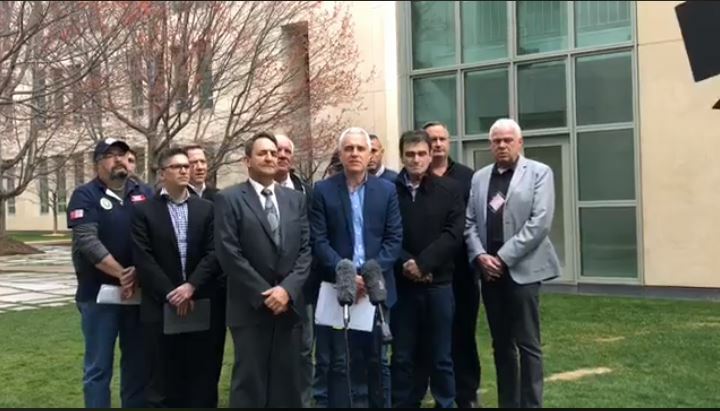 The TWU has demanded the Federal Government improve the situation immediately and we will continue to campaign for #SafeRates and to ease the pressures down supply chains that cause so much of this human misery. Staunch Branch member and driver Greg Annett (pictured below) called on “the current or future PM” to replace the Road Safety Remuneration Tribunal in an interview with Ch9. 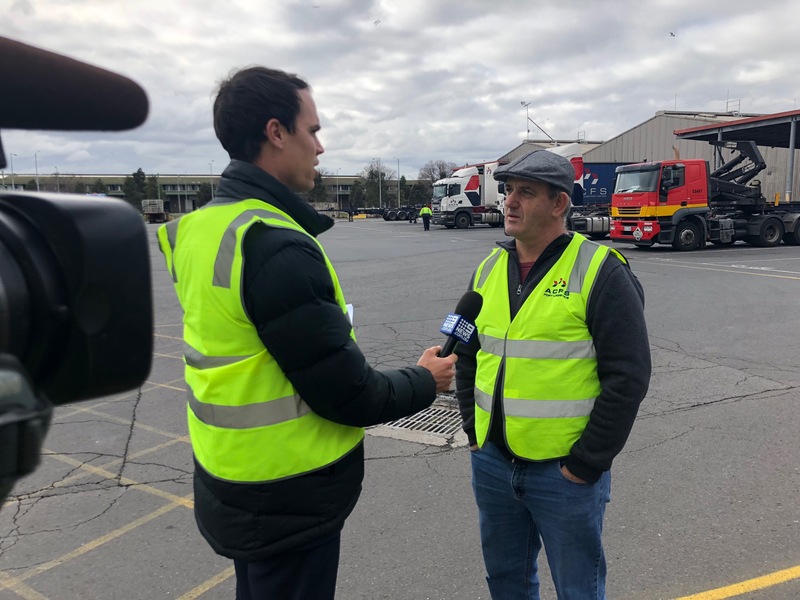 TWU (VIC/TAS Branch) Secretary and National Vice-President John Berger said that while truck driving is the most common occupation among Australian working men, it is frustrating that these workers have so little control over their work environments. “We call on the Federal Government to take these findings and use them to target those things that have made trucking so deadly,” he said. 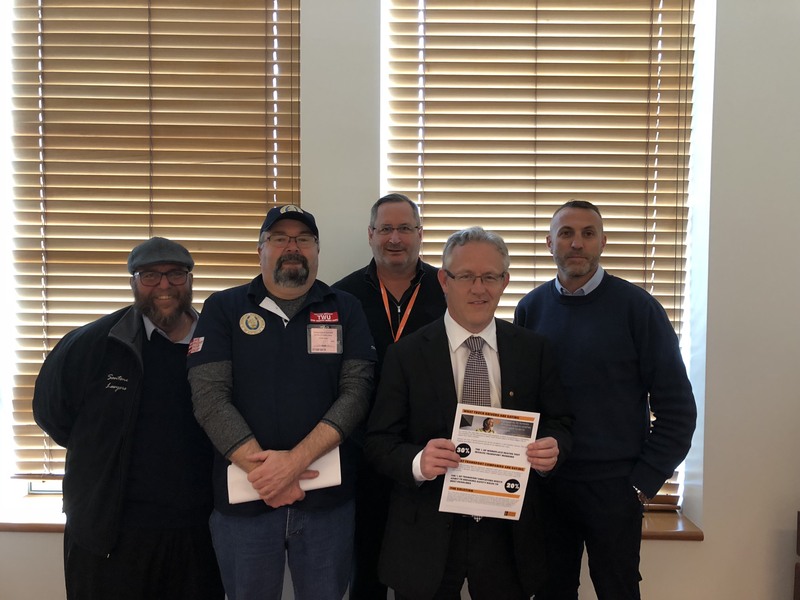 TWU (VIC/TAS Branch) Secretary and National Vice-President John Berger (centre) and Branch Committee of Management member John Rowe (2nd from left) meet with ACT Labor Senator David Smith (2nd from right) today in Canberra to discuss #SafeRates.